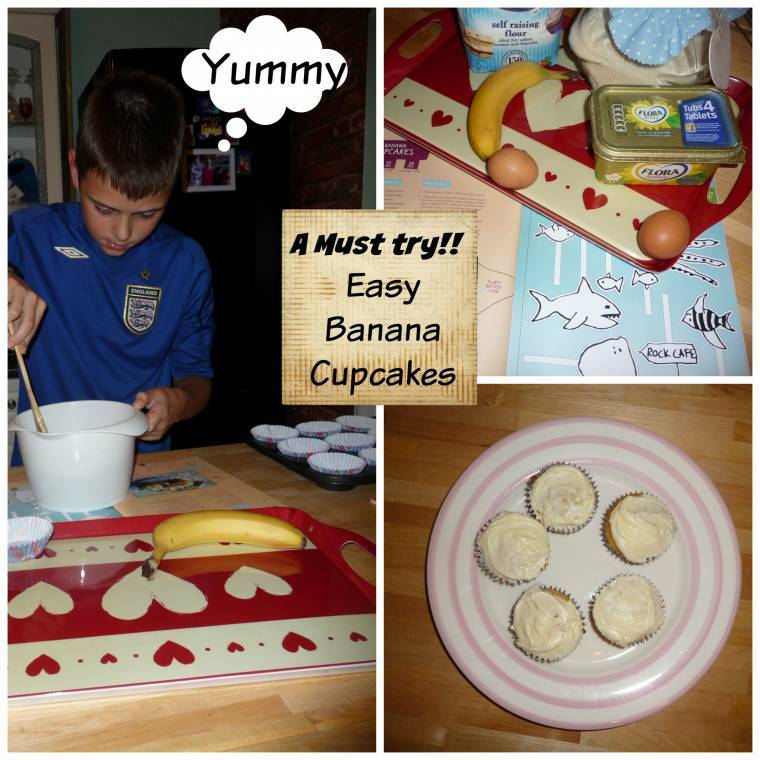 These banana cupcakes tasted so yummy and was really easy to make. Weigh your eggs. Note the weight and measure the same amount of Flora, sugar and flour. Place all the ingredients in a mixing bowl and beat with a wooden spoon 2–3 minutes until well mixed. Place dessertspoons of the mixture in 10 paper cases or greased bun tins. Mix icing ingredients together and then spread or pipe over the cakes. Decorate with banana chips or popping candy. 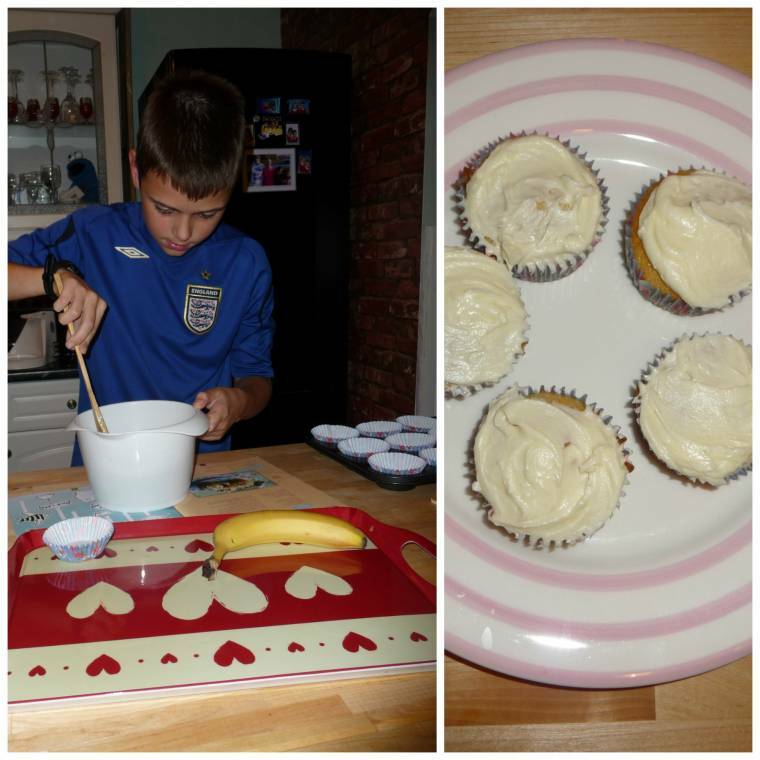 About this post: We kindly got sent some baking things by Flora and we used some of the products in this post. All thoughts are my own. This is a Flora recipe. "Fig And Mini French Goats Cheese Filo Tart…"
"Tower Bridge Lifting : Wednesday Blog Hop…"
They look tasty…i must try !! !